Cook Medical has announced the launch of the EchoTip ProCore endobronchial ultrasound (EBUS) needle, a single-use needle that collects cell and tissue samples in order for a physician to diagnose lung cancer and various mediastinal diseases. Cook Medical claims that EchoTip ProCore is the first endobronchial ultrasound needle in the US that can acquire histological samples. 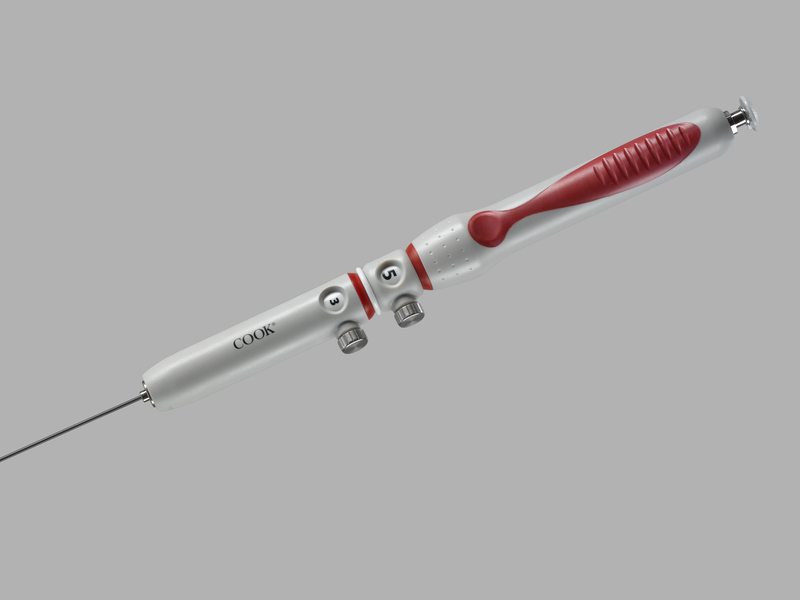 Incorporating core-trap technology, the EchoTip ProCore EBUS needle allows physicians to retrieve both cell and tissue samples from lymph nodes or tumors in the pulmonary area via a minimally invasive procedure. The device can be used for fine-needle biopsy of lesions of submucosal and extramural lesions within or adjacent to the tracheobronchial tree or gastrointestinal tract. Cook Medical Endoscopy division global leader Barry Slowey noted the company’s ProCore technology has already proven itself in the GI endoscopic ultrasound space. "We are so pleased that physicians can now use the same technology in the pulmonary area, and we hope that this technology will aid in quick and accurate diagnosis for patients," Slowey added. Recently, the company has launched a 25-gage EchoTip Ultra EBUS needle that is 33% more flexible than the 22-gage needle. According to Cook Medical, this flexibility allows physicians to deflect the endoscope to a greater degree than is possible with larger needles. The added flexibility can also allow physicians to reach more pulmonary target lesions.